These words are often heard when we are angry, irritated and sometimes even in casual talks. Over exaggeration is also very common in our conversations and these are often not looked on as false or lies. In my culture we readily give an opinion on things we know little or nothing about and oftentimes our words are unkind and brutish. Here are a few words. Can you think of anymore or any they use in your culture? 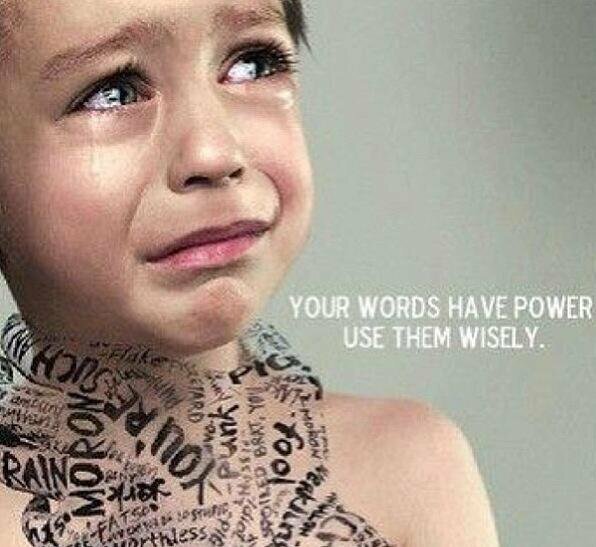 So true, and then we become these negative words, we act like its meaning and demonstrate it in our everyday lives. The one I dislike the most is the word "Dunce" I use to cringe whenever I hear others use it as a reference to another. But we must move away from harming ourselves with these poisonous words that only seeks to destroy us and further make us belive we are worth nothing. Let us seek to only use words to build, motivate and encourage. Eg..I am a conqueror, I am amazing, I can, I am brilliant and watch what happens when you say these words daily.